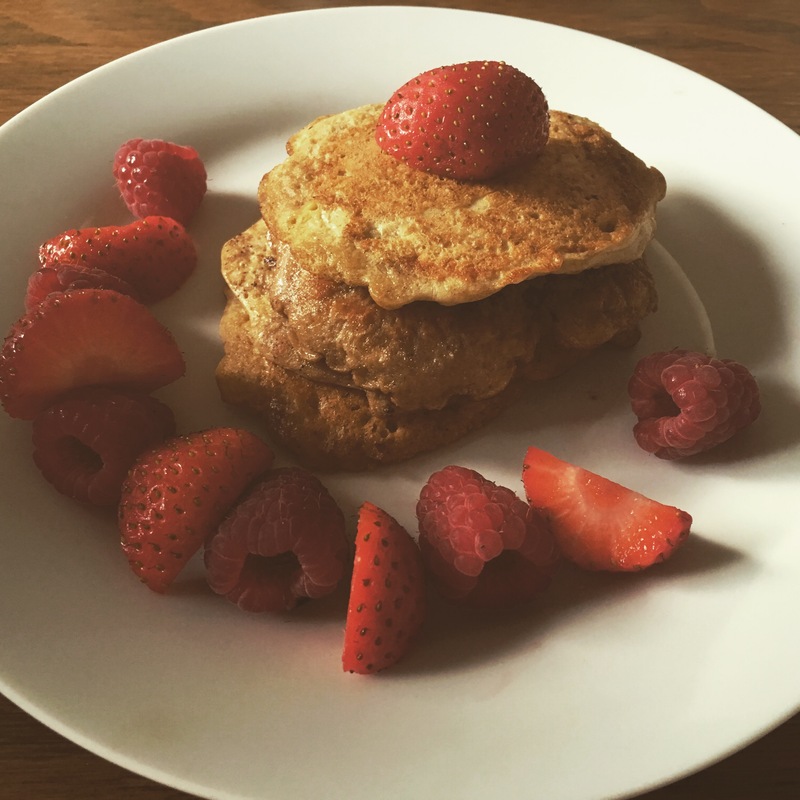 These very filling pancakes, and are a good alternative to the lovely full fat ones we all adore. Allows you to have a wee treat, whilst still staying good! And we all like that! Add oats to a bowl, with the cinnamon and protein power. Add the eggs, and stir. Add a drop of almond milk if the mixture becomes too thick. Heat a pan over a medium heat with a dash of vegetable oil and butter.